USA Tunes up Tunisia, Signs Autographs, Takes Back Aladdin's Lamp ~ Roundball Manor - The House that Basketball Built. 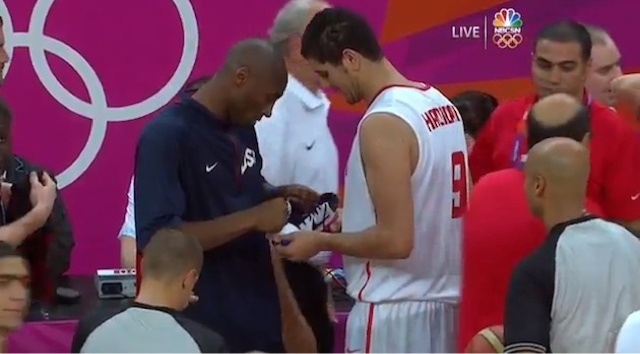 The Americans were able to overcome a slow start and squeak out a 47 point victory against Tunisia yesterday, highlighted by Anthony Davis' 30 alley oops and Kobe Bean Bryant signing a Tunisian player's sneaker after the game. Next up is Nigeria on Thursday. Can YOU find Tunisia on a map?